Given the ongoing debate over sweeteners’ role in the growing global obesity epidemic, many consumers are shifting their sweetener choices to more natural ingredients that don’t skimp on taste and or add extra calories to their daily intake. Riding the wave to this trend, Firmenich has named honey the Flavour of the Year for 2015. Honey’s popularity has seen consistent growth over recent years as consumers gravitate toward food and beverage products considered artisanal and crafted, or locally sourced. Honey also has the ability to create a unique flavour impression that romances consumers of all ages. While universally sweet and at once full-bodied, the flavour also leaves a delicate impression that has consumers wanting more. However, it should be noted that it’s not all sweet on the honey front. The decline in bee populations around the world could have potentially devastating effects on the planet and its food systems. The world needs bees in order to maintain a healthy ecological equilibrium and as bees buzz on the world’s stage, the appeal of their product has swelled. Similar to wine, the taste of honey is greatly impacted by its geographic location, climate, soil and temperature, what is often referred to as its terroir. The combination of these elements is why the flower nectar has a special composition; and this gives the resulting honey from that nectar a unique flavour fingerprint. Depending on the terroir and the pollens the bees have gathered, honey can reveal a wide range of notes. What’s more, honey flavour can contain anything from light and delicate white flowers such as chamomile, lily of the valley or linden; to powerful and heady flowers such as jasmine or rose. Blending honey isn’t new (think honey mustard), but there have been quite a few new combos in recent years. Need examples? Pizza Hut recently introduced a new sauce with honey and Sriracha. Similarly, while honey and poultry have been paired for decades (think honey roasted chicken), red meat and even shellfish have followed suit with items like honey-braised short ribs and honey-fried oysters appearing on menus. The company predicts honey has the potential to enter the flavour canon in the likes of chocolate, vanilla and strawberry, perennial favourites that reach the ultimate flavour adjective: classic. 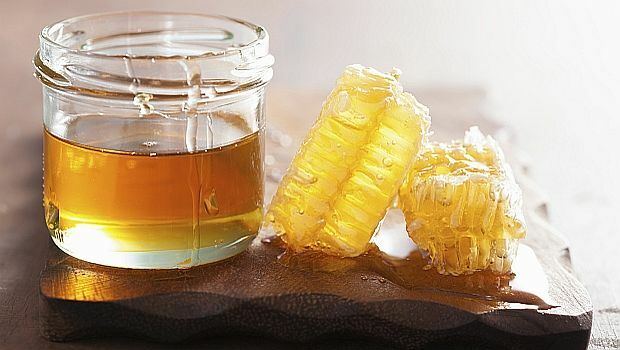 Cereals like Honey Nut Cheerios and Honey Smacks, Bit-O-Honey candy, and honey mustard sauce are just a few of the industry’s gold standard honey products. Today, honey flavour can be found in a host of popular foods and beverages like Greek yogurt, cereal bars, ice cream, beef jerky, and alcohol (think vodka and whiskey).